Ballet Manila co-artistic director Osias Barroso (facing camera) and Jonathan Janolo conduct an evaluation class of potential Project Ballet Futures scholars for this year’s Summer Intensive. Little girls in pink leotards and tights and cute ballet shoes, their excited moms bringing them to school for their first dance class. This has become a familiar sight at the studios of The Lisa Macuja School of Ballet Manila especially for its annual Summer Intensive. The beginners are joined by a bevy of girls and boys of different ages who have taken ballet and want to continue their training in higher levels. 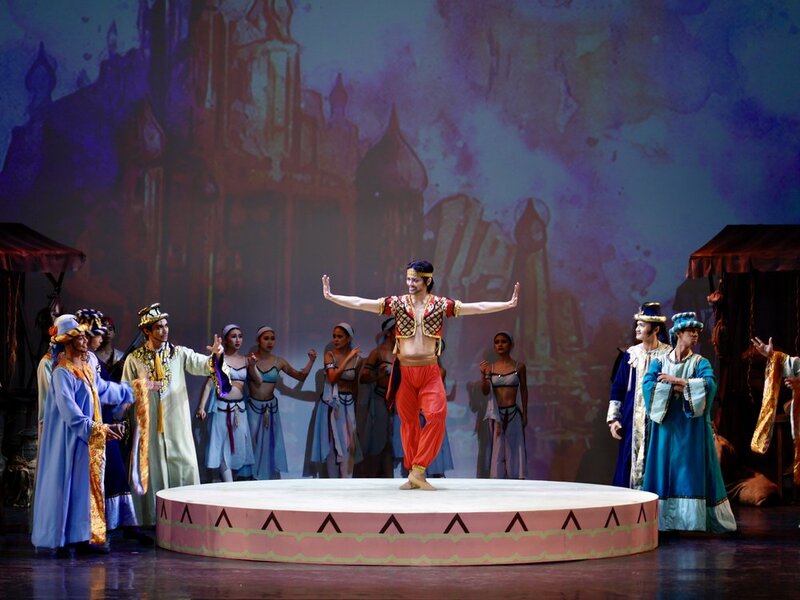 Under the leadership of school directress Lisa Macuja-Elizalde and its faculty led by Osias Barroso, the BM School has been training students in the Russian Vaganova method for twenty years. This year, the summer workshop will start on April 3 and continue through a two-month period, culminating in a grand recital on May 28. Since last year, BM has been offering classes both at its Pasay headquarters on Donada Street and also at its Quezon City branch in Fisher Mall. So how should students – especially those who are stepping foot in a studio for the first time – make the most of their summer ballet classes? 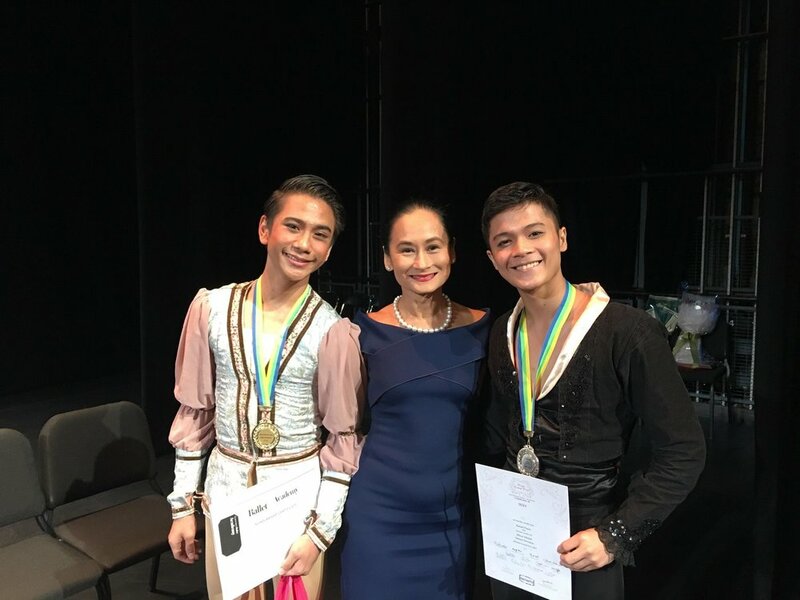 Ballet Manila teachers Eileen Lopez and Jonathan “Jay” Janolo, who are also the BM company’s rehearsal mistress and rehearsal master respectively, offer a variety of advice for both the kids and their parents. In addition to having been trained by Macuja-Elizalde and Barroso, both have undergone classes with Russian guest teachers over the years. Lopez, who was a BM pioneer, was a member of the school faculty since it formally opened its doors in 1997. She will teach Levels 2A and 2B in Pasay and Level 1A in Fisher Mall this summer. Still taking on occasional supporting roles in BM productions, Janolo has been teaching at the BM School for ten years. 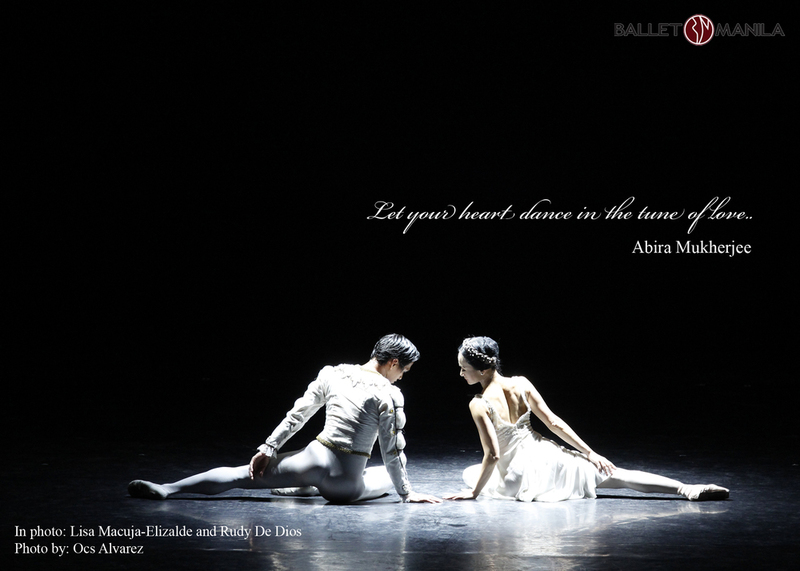 For the summer intensive, he will handle the classes for the Project Ballet Futures (PBF) scholars and Adult Ballet. For Jonathan Janolo and Eileen Lopez, patience and love for their work are key to teaching kids at Ballet Manila. Be on time and be prepared. Being late shows disrespect to the teacher and your classmates, they concur. Parents should always be on top of their kids’ schedule to ensure that they get to class not just promptly – but also prepared, Teacher Jay points out. This means they are in the appropriate gear as prescribed by the school. Attend class regularly. There’s no quicker way of perfecting dance but to be in the studio and be taught by equipped teachers. 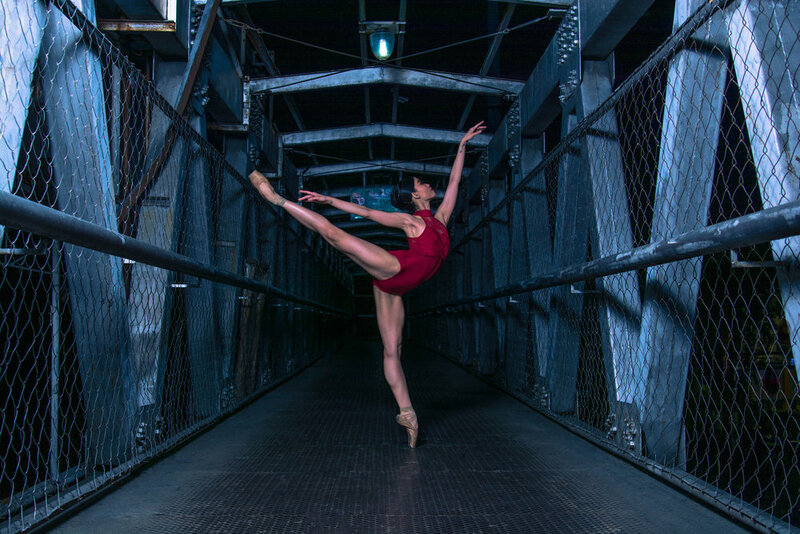 Indeed, ballet is best learned through sustained classes where the steps and movements are taught to them gradually and repetitively until they do it perfectly. Since the parents are paying for a whole summer’s tuition, it also makes sense that the kids shouldn’t miss a class so they can get their money’s worth. Start class with a smile. One thing Teacher Eileen encourages her students to do before class starts is to smile. This, she says, sets a positive tone for the session. There should also be an element of fun so that they look forward to attending the class. Pay attention. This can be challenging, especially when dealing with younger kids who tend to have shorter attention span. Teacher Eileen says she sometimes uses the piano version of pop music in her class to keep them focused. “I once had a 1A class (6-10 years old) that sang during the whole lesson to my ballet music. They were having a good time,” she enthuses. Using props or toys or giving them roles to play are also ways of engaging the younger children’s interest, adds Teacher Jay. “You tell them things like fly like a bird or be a princess because they enjoy that,” he shares. While the teachers are ready for class all the time to keep their attention, he admits that sometimes there are really unruly kids. In those cases, procedures are in place on how to handle them. They may be asked to sit for the meantime or watch the class with their parents until they get interested again. Learn to listen. For PBF scholars who are mostly unaware of what ballet is, this is essential. “Usually, they have no idea about the culture of dance art and how sophisticated it is,” says Teacher Jay. With the scholars thus, especially when they are new, he asks them to look at him in class as he demonstrates – without them speaking a word unless they are asked. This is when the young ones first realize the value of discipline in dance. Teacher Eileen allots ten to 15 minutes of her class to discussing ballet terms with kids aged nine and above, from the spelling to the meaning. She believes it is important, particularly for those who want to pursue a career in ballet or maybe even want to teach someday too. To test that the kids are listening, she gives mini exams on the terms that they learned in the past week. Welcome teacher’s feedback. Being corrected by the teacher is part and parcel of any ballet class. It may be in one’s posture, the hand gesture or the position of the feet. Teacher Eileen notes, “Any correction given to anyone in class is applicable to everyone and not just to the one being corrected.” She says it’s helpful to give the students reminders on what they need to work on so they can improve in these areas. For both Teacher Eileen and Teacher Jay, patience is a tenet that all BM mentors live by. Knowing that each kid is different, they are well aware that their approach must also be different for each one. The teachers become so invested in their students that they admittedly sometimes become like stage parents themselves, watching from the wings as their students perform come recital time. The greatest fulfillment for them as teachers is seeing the fruits of their labor. “I really cry when I see them dancing and doing everything that you’ve taught them. It’s then that you know you have instilled discipline and good work ethics in them,” Teacher Eileen shares. More than just making sure their students have good memories, they want to instill in them a passion for dance that will go beyond the summer workshop. Indeed, many of these kids go on to enroll in other classes that the BM School offers year-round in its two branches. Teacher Eileen says it’s fulfilling to see students do everything that she’s taught them.